Starting Aug. 27, Late Registration Fee Applies for Diamond, Ponytail and Pigtail Leagues, Waiting List can also be in effect. Updated Tuesday November 13, 2018 by Kris Marceca. AGSA is in the Late Registration Period when a late fee applies and Leagues may have started a waitlist. 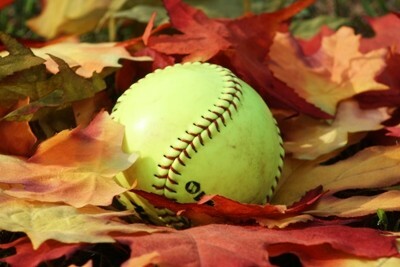 The Fall Ball is a much more relaxed, skills development focused season - is a great place for girls who are new to softball to start. Registration for the league includes a t-shirt and access to skills clinics that are planned each year - registration for these clinics is free to all registered players! Check out the full draft schedule for more information. Traditionally this program has been very popular - each league closes when it reaches capacity - don't get shut out! Register today and also get the benefits of Early Bird registration (ends July 31, 2018). Registration is Now open for ALL LEAGUES. Registration closes when the leagues reach capacity or for all leagues but Pixies, if there is room, regisrtation will stay open until August 26th. For Pixies, we keep registration open until Septmeber 15th. Practices for Pigtail, Ponytail and Diamonds begin the first week of September and for Pixies, practices begin on 9/17. The season ends the weekend of October 27th unless there is a need for a make-up weekend on November 3rd. We will once again be oferring pitching and catching clinics for a seperate fee. Registration for those clinics will be announced as soon as we have the details worked out. All we ask in return is that we get some volunteer assstance to help us support our other related programs either in the Fall or Winter. (Information is included in the scholarship application). The AGSA is pleased to announce that we will be running a Summer All Star (SPIRIT) program for the summer of 2019. We are planning to have a full program at the 8U, 10U, 12U and 14U levels. Tryouts will be held at Greenbrier (Yorktown HS) on 4/28 and 5/5 and participants are strongly encouraged to attend BOTH sessions. Participants in the 2019 SPIRIT program at the 8U, 10U and 12U levels MUST be playing house ball in Spring 2019. At the 14U level, it is assumed that girls have been playing HS softball and thus were not able to play in the House program. There WILL be tryouts for the 8U, 10U, 12U and 14U levels. The tryouts will be held at There is NO COST for registration for these tryouts - but all participants MUST BE PRE-REGISTERED by 4/27. This is a competitive program and playing time is not guaranteed. The goal is to provide an opportunity for those players who are interested in improving their softball skills and/or playing in a tournament or travel setting. Players are expected to participate in SPIRIT practices in addition to House games and practices. For the summer season, players will participate in 1-2 weekly practices/games and up to 3 tournaments including the local All Star Tournament which will be held locally. There will be an additional cost for participation in the SPIRIT program. Scholarships are available. There will be NO PLAYING UP. We may have multiple teams in one age group. There will be no futures teams or A/B squads. The 2019 SPIRIT season will end no later than 7/31/19. Tryouts are MANDATORY. If you have questions about tryouts or any general questions, please contact Paul Webster at paul.s.webster@gmail.com. This registration is for those that are interested in being considered as a coach or assistant coach for the AGSA 2019 Spirit (Summer All Star) program.